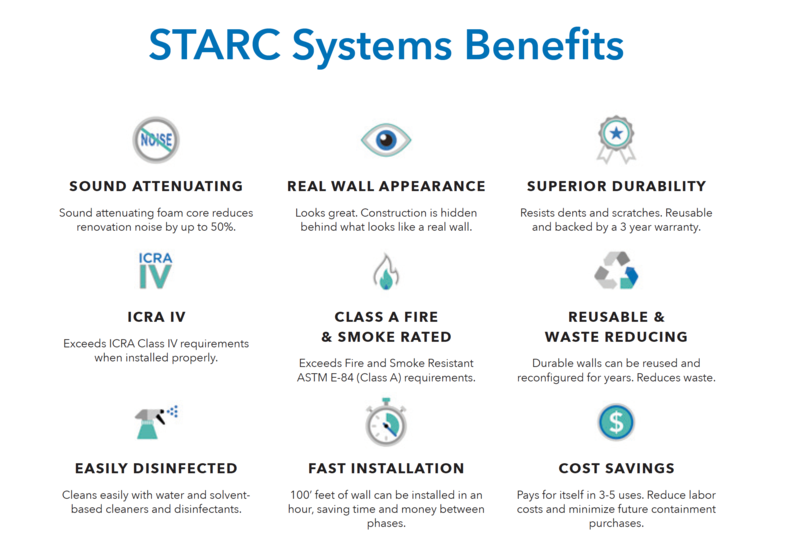 The STARC System is patented and the most innovative on the market. The telescoping modular wall panels feature a threelayer construction with our lightweight aluminum front, sound attenuating foam core and galvanized steel back. STARC panels are the most stable and durable on the market. With the simple, airtight panel connection and gasketing, our wall system can exceed ICRA Class IV requirements and is Class A rated for fire and smoke. ASTM E-84 certified for Class A flame spread and smoke generation.